The past month in the UK has been a little bit crazy. I honestly don’t remember the snow ever lying for so long. It’s been snowing every couple of days in Edinburgh since before Christmas! I guess I would typically think of satay of a summer dish, but spicy food is great on cold days. Plus we all need a dose of the summer feeling in the depths of winter! The main thing we had to do for this challenge was to marinade our choice of meat (or vegetarian options) to enhance the tenderness and flavour. 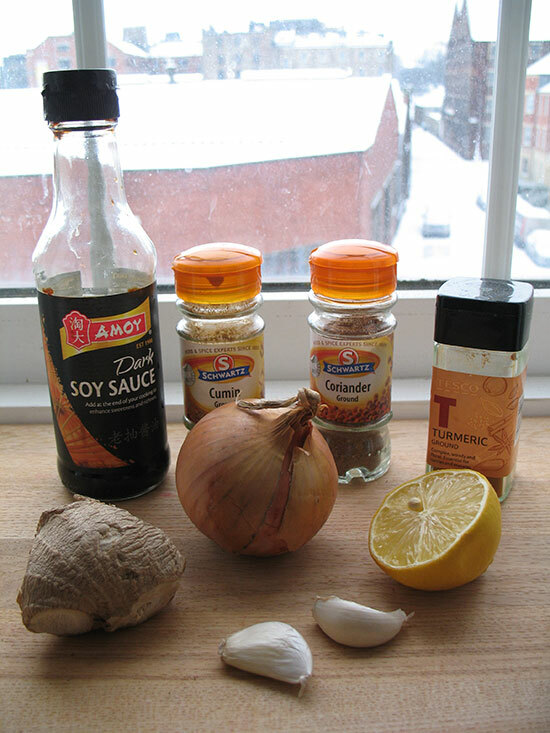 I used the more “complicated” marinade simply because I had all the ingredients to hand – I cook a lot of curries! See the snow in the background! Cheater alert: If you have a food processor or blender, dump in everything except the chicken and blend until smooth. Lacking a food processor, I prefer to chop my onions, garlic and ginger really fine then mix it all together in a medium to large bowl. Cut the chicken fillets into 1 inch strips. Cover the chicken with marinade. You can place the chicken into a bowl, cover/seal and chill, or place the whole lot of it into a ziplock bag, seal and chill. 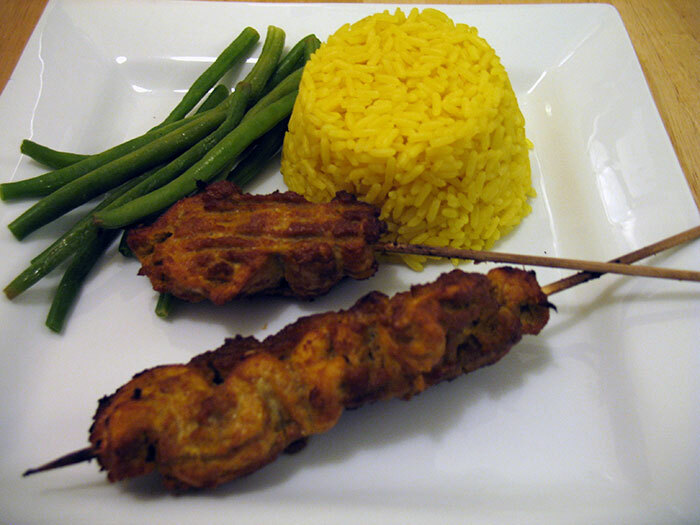 I have to say this was a great marinade and would be suitable for any type of curry, not just Satay – although I did skewer my chicken there is no necessity to. To cook the skewer they should need at least 10 minutes on each side under the grill, but watch that they don’t start to burn. 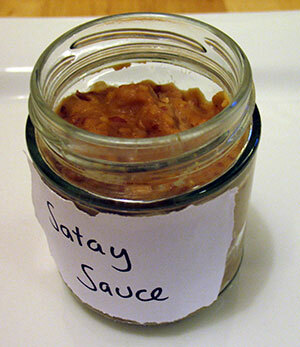 While the skewers were cooking I made the Satay sauce. I guess I have to say I am not a huge fan of Satay sauce, again with me having problems with sweetness in savoury food. I wouldn’t have put any sugar in the sauce, but the Other Half (who is some what an expert in Chicken Satay) said it was perfect.